15: Queen Sacrifice - Keiko searches for Bryce while Mark and Vogel plot to uncover the FBI mole. 16: Let No Man Put Asunder - Olivia and Lloyd grow closer. Wedeck helps Aaron infiltrate Jericho to rescue Tracy. Demetri moves up his wedding date after finding out more information about his murder. 17: The Garden of Forking Paths - The FBI attempts to track down the missing Demetri. Olivia discovers who texted her about Mark's flashforward. Alda Hertzog wants to strike a deal to tell Zoey information about Demetri's whereabouts. 18: Goodbye Yellow Brick Road - Aaron infiltrates an Afghan village to find Tracy. Olivia finds a person who had several flashforwards. Janis tries to cover her tracks against her fellow FBI agents before they can discover her secret. 19: Course Correction - Demetri investigates a murderer who is targeting people that have escaped their futures, and Mark agrees to find Simon's sister. 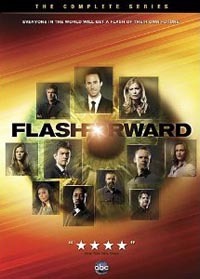 Nicole finds Keiko, the woman in Bryce's flashforward. The FBI close in on Suspect Zero. 20: The Negotiation - On April 28th, the day before everyone's future was revealed, Mark must protect Gabriel, Aaron mounts a rescue attempt to retrieve Tracy, and Janis is ordered to kill a fellow FBI agent. 21: Countdown - Mark interrogates Hellinger about the next blackout. Aaron discovers Tracy's link to Jericho. Lloyd figures out the equation in his flash-forward, Demetri debates helping Janis and Simon break into NLAP.